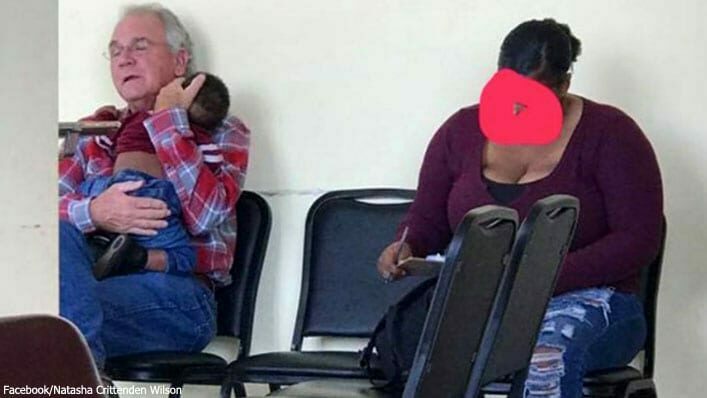 An elderly man who held a woman’s sleeping baby in a doctor’s office while she did her paperwork is warming hearts across the web. 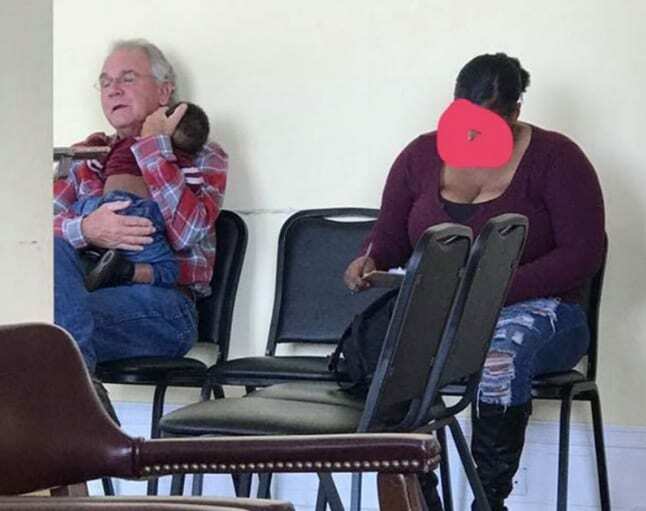 “I was in the waiting room at the doc office today and this lady walked in with her sleeping baby! They handed her paperwork to do & as she was sitting there trying to figure out how to hold her sleeping baby while filling out the paperwork, this man, from across the room, asks her if she would like for him to hold her baby while she did her paperwork!! She smiled and said that would be wonderful!! This man went over there and rocked and loved on that baby like he was his!! My heart Melted!!! Racism is still VERY real in our society today BUT THIS MAN GAVE ME HOPE & a sweet memory I’ll never forget!! The short but oh-so-sweet story of tearing down racial barriers has now been shared by media outlets across the country. 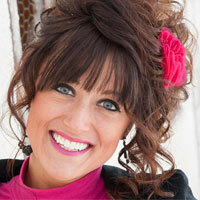 The mom in the picture was later identified as Jade West. “I felt relieved and appreciated at the fact that he wanted to help, he seemed really genuine,” West told “Good Morning America.” She was stunned that a stranger would do something so kind for her. While West said it’s fine for people to have different mindsets, it’s most critical that we care for each other. After family members recognized the gentleman in the picture as Joe Hill, Wilson was able to connect with him as well. "Dear White Moms, What I Need You to Know..."